1. Preheat oil to 170-180°C. 2. Arrange Lotus leaf buns on a plate and steam for 10 minutes. 3. Using a food processor, blend the kimchi until smooth. Add to Japanese Mayo and mix together until mixed well. Set aside. 4. 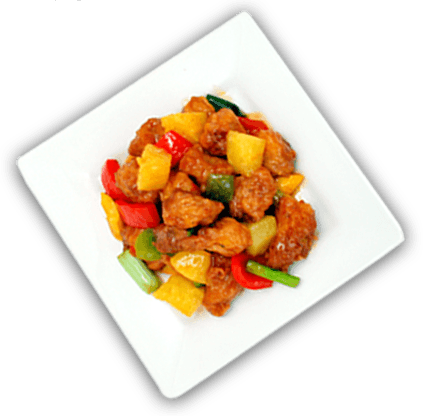 Deep fry Hakka Chicken Karaage for approximately 3-4 minutes (from frozen) or 2 minutes (defrosted) or until cooked through. 5. 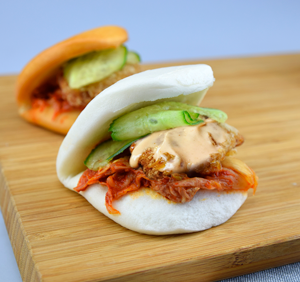 Fill Lotus Leaf Buns with kimchi, Hakka Chicken Karaage, a dollop of kimchi mayo and cucumber. Serve hot.